There are some people with whom it is difficult to have a bad meal. My friends J & A are one such couple, which is why I happily agreed to meet them at SPQR. 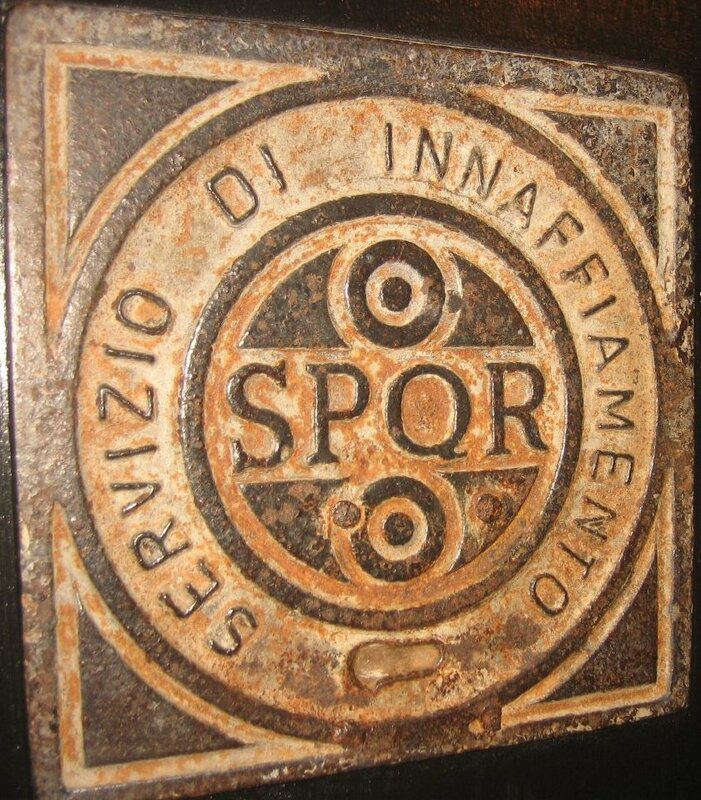 The term SPQR is the abbreviation for the 'Senate and the People of Rome' (Senātus Populusque Rōmānus) and serves as the emblem for the City of Rome. The atmosphere is warm, but a little crowded like a busy Roman trattoria. As we waited for a table, folks were eating at the bar and enjoying wine while watching the chefs work their stations in the open kitchen. The menu consists of a long list of antipasti and a shorter list of entrees. Together we sampled eight antipasti and one entree. 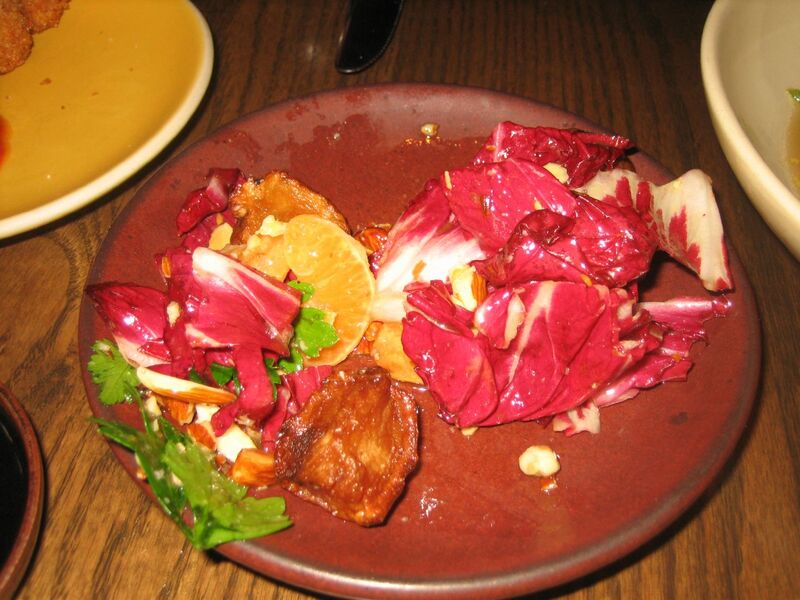 From the cold side we started with the Sunchoke, radicchio, almond, parsley and tangerine salad. The sunchoke was decent, but the rest of the salad was deliciously bright with the citrus vinaigrette and the crunch of parsley. Something I would definitely order on a summer evening. The Fennel Salad with tuna conserva, chiles and anchovy was my favorite, just the sort of salty sea flavored crunchy fennel with a slight bite from the chillis. I would like to figure out how to make this myself. 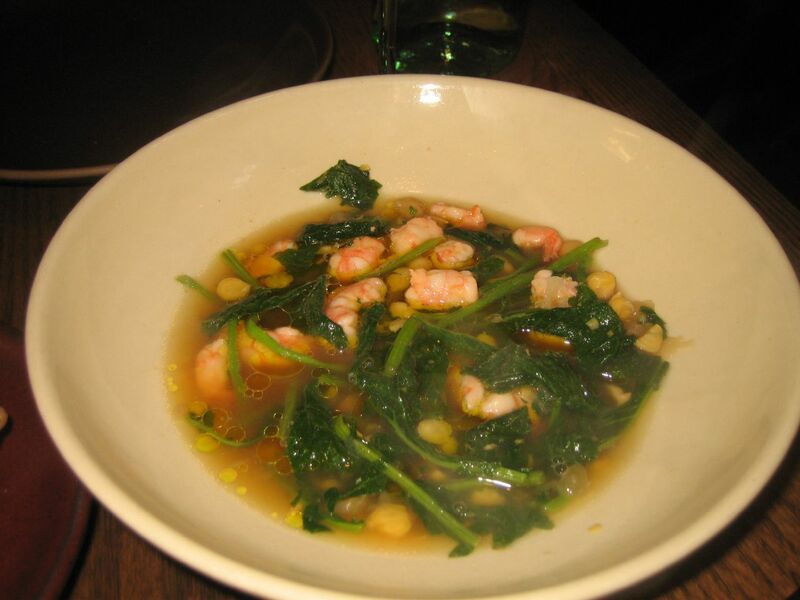 The Lobster brodo with shrimp had a very rich broth which was a little too salty for me, but still good with good quality shrimp and rapini. A liked this a lot with bread. The brussel sprouts with garlic capers, lemon and parsley was crispy and the charred flavor went nicely with the fried capers. 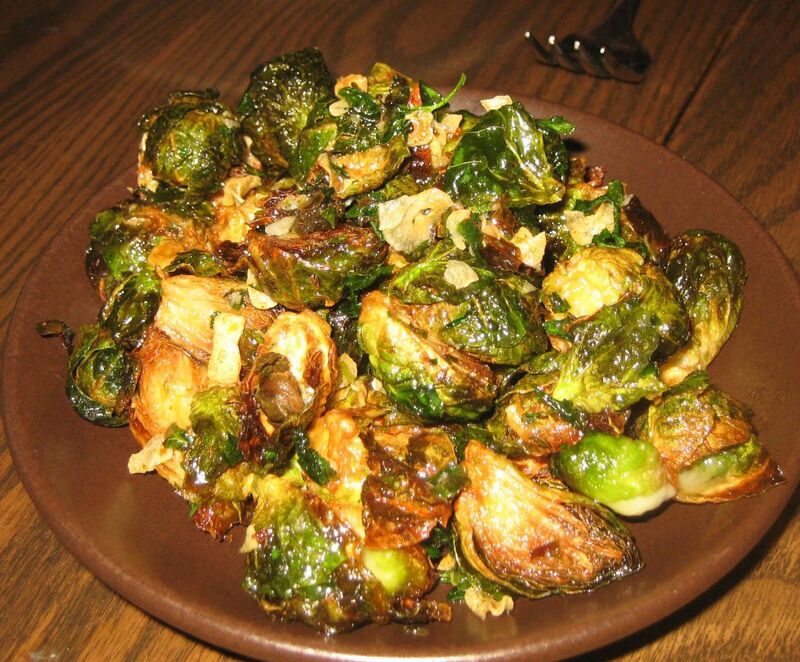 I like the crispy brussel sprout leaves and I loved the fried capers, good if a bit on the heavy side. Another one that I would order again. 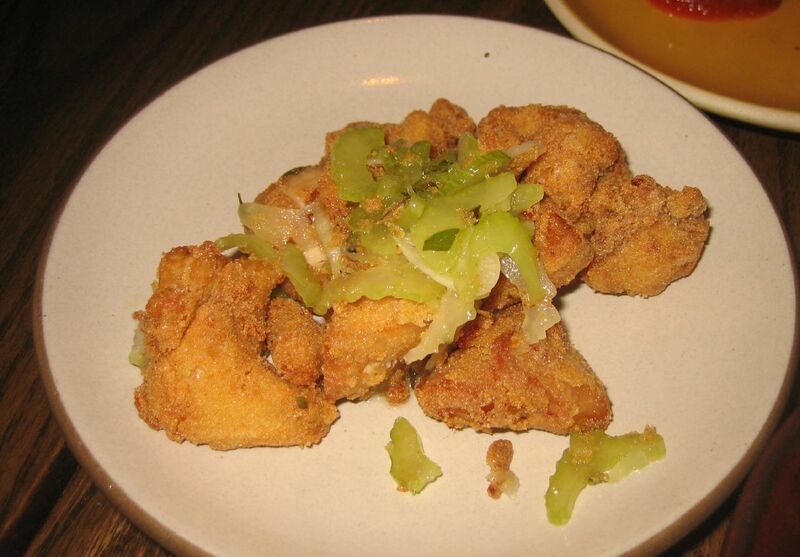 The fried sweetbreads were smallish pieces of lightly breaded and fried sweetbread. The breading had a very delicate crunch and some nice seasoning. The celery garlic, lemon and oregano were hardly detectable, so the dish lacked some balance. Very strong sweetbread flavor, good for those that like offal. 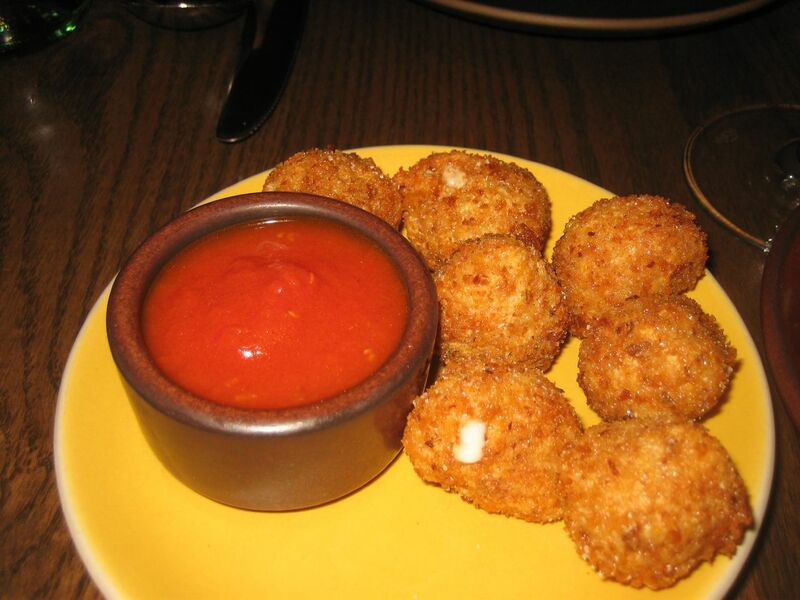 The Mozzarella bocconcini with spicy tomato sauce was o.k. The bocconcini tasted of good quality, though the temperature of the cheese could've been a bit hotter. Perhaps not brought down to room temperature before frying for fear that they would ooze out of the fried shell. The tomato sauce was rather ordinary and not spicy at all. One of the last antipasti was the house-made pork sausage with braised fennel. The braised fennel was fine. 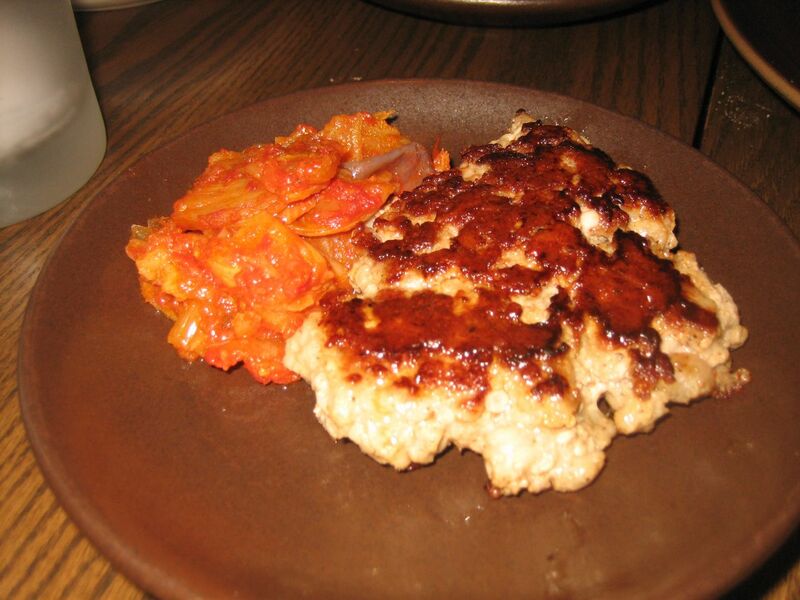 Braised in a tomato base, it was slightly sweet and looked like kimche (not a bad thing). The pork sausage was just o.k., it was rather one note and salty. Decent but not as good as the sausage I've been getting from Lucca lately. 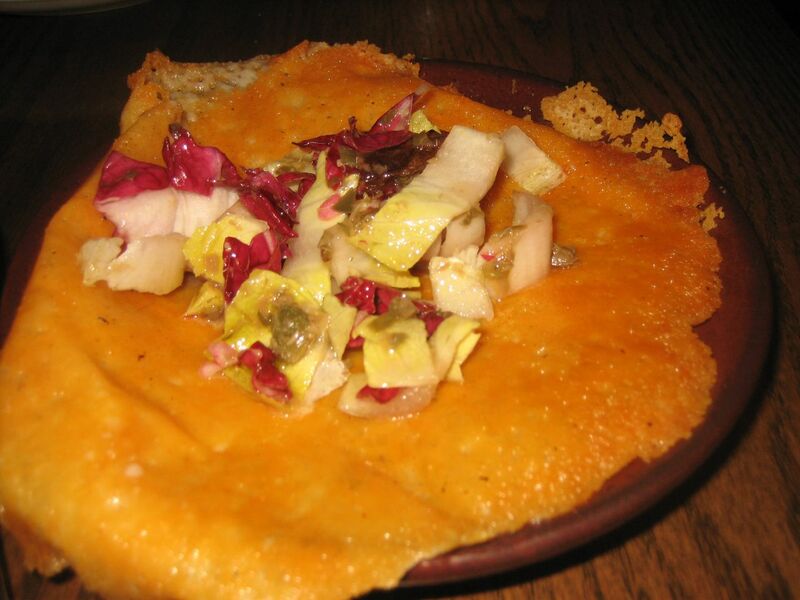 The only miss of the evening (or perhaps just a little odd) was the grilled pecorino with endive, radicchio and capers. The grilled pecorino came crisped like a crepe, and tasted just like the cheese that oozes onto the grill out of your grilled cheese sandwich. I like the concept, but it was a bit too rich and oily without any starch to balance the strong flavor of the cheese. 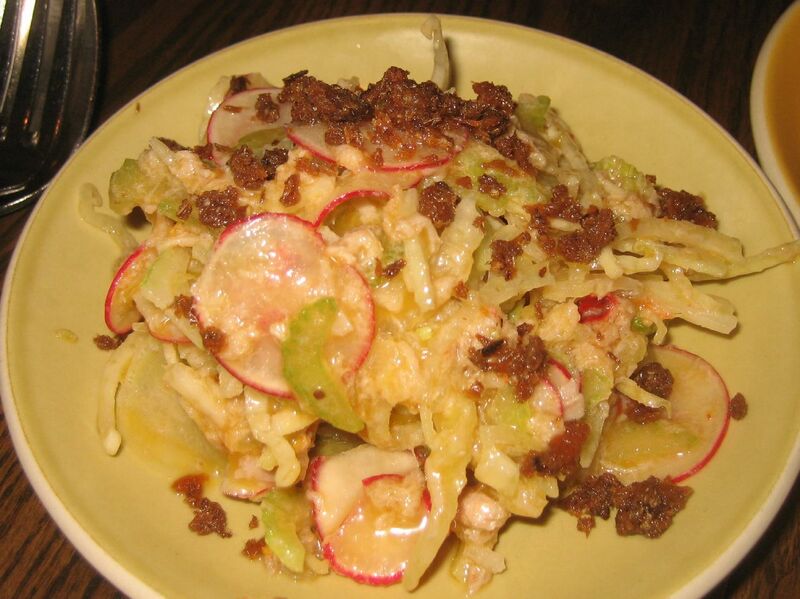 At least there was some endive and capers to cut the richness. 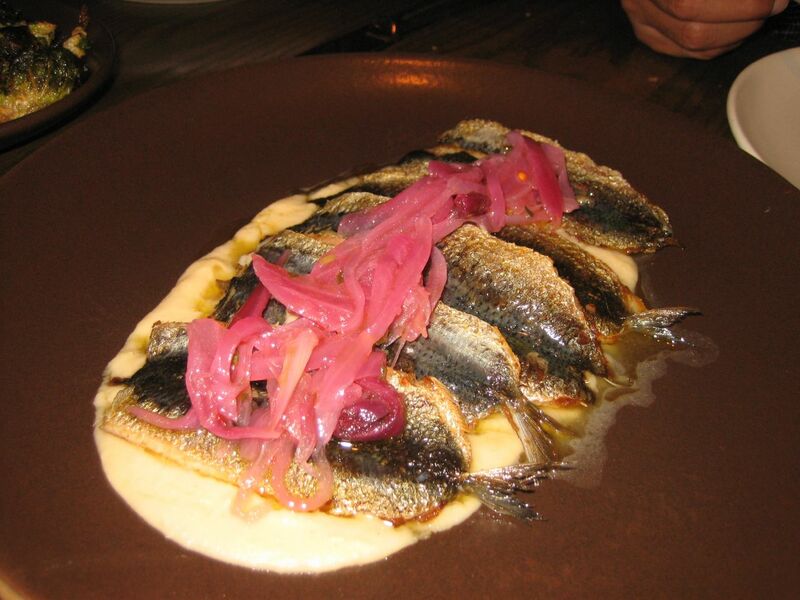 Our entree was the grilled sardines over a ceci puree. The sardines were about the size of a large finger, filleted and well cooked. Tender and had a subtle fish flavor, the texture of the fish worked well with the smooth chickpea puree and a bit of acid flavor to bring it all together. We were enjoying ourselves so we stayed for a few desserts -- rice pudding and a duet of sorbets. The sorbets were caramel and I forget the other flavor. They were good. The rice pudding with dates was our favorite of the two. The rice pudding was a little on the sweet side for me, but I enjoyed the dates. SPQR is located in the space that once housed Chez Nous. Not a huge space, just the right size for a neighborhood restaurant. Having heard about the crowds, we decided to head over early on a weekday. They arrived at a little after six p.m. and we were seated within fourty five minutes, which is not bad for the number of tables in the house. The service was excellent, the servers were knowledgeable friendly and genuinely seemed interested in making sure we had a good meal.